WorldMark Coral Baja Resort in Mexico is a tropical paradise. The resort is located on the Southern end of the Baja California peninsula. 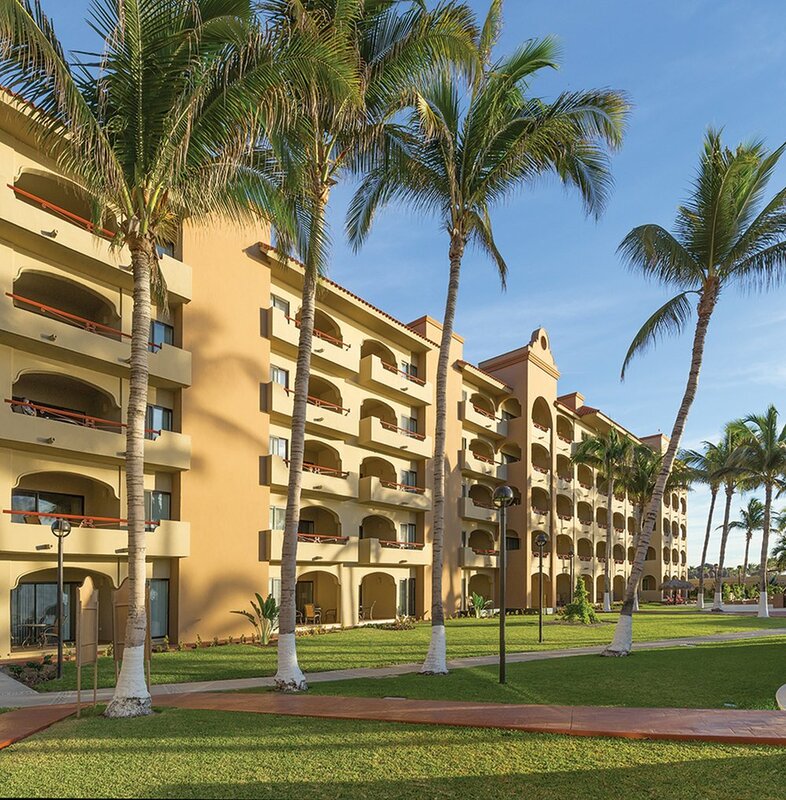 The WorldMark Coral Baja grounds are covered with lush vegetation and the resort has amazing ocean views. There are many activities on-site at the resort not to mention all the opportunities in the surrounding area. At the WorldMark Coral Baja, the units are equipped with all the conveniences of home. For entertainment they have: satellite TV, DVD player, and a stereo with CD player. They have in-unit washers and dryers so you can wash all the sand out of your clothing before heading home. Units also have a hair dryer, iron and ironing board so you don't have to bring those things from home. Each unit has a terrace or balcony so you can sit outside and enjoy the beautiful weather and scenery. The WorldMark Coral Baja resort has many amenities on the grounds. There is an outdoor pool with swim-up bar. For more outdoor fun there is a tanning pool, tennis courts and an outdoor spa. If you need to pick up a few snacks or drinks there is a convenience store and liquor store on the property as well. The resort also offers an activities desk so you can get help with planning any activities in the surrounding area. If you want to cook a meal outdoors, there are several BBQ grills available. There are so many things to do at the WorldMark Coral Baja, you may spend much of your vacation exploring the resort grounds. If you do decide to check out the surrounding area, you won't be disappointed with the available activities. There is horseback riding, bird watching at the San Jose Estuary and seasonal whale watching tours for the animal lovers. There are also many things for those who love a thrill. You can go on an ATV ride, scuba diving, parasailing, jet skiing, snorkeling or even windsurfing. There are lots of fun nightlife activities as well. The nearby Cabo San Lucas has many bars, restaurants and shops to explore. The glass boat tours to the Arch of Cabo San Lucas aren't to be missed. WorldMark Coral bay resales are a great way to spend less while getting the vacation lodging you need. Contact one of Premier Timeshare Resale’s accredited agents with any questions you may have concerning buying a timeshare resale. Those looking to sell their WorldMark Coral Bay timeshare can depend on us to help them get the best fair market value for their listing. Owning a Worldmark Coral Bay timeshare will take one thing off your list of vacation planning and make your trip more fun overall.